Established in 2003, Focus Architecture was founded to provide a more structured approach for continued implementation of the successful processes that we have developed over the last 10 years helping clients realize their vision for their homes and lifestyles. From working in this field for many years, we understand the problems and pitfalls of the industry and by using our services you can be confident that: - You won’t be stung with unexpected or hidden fees and charges as we disclose all costs associated with the project prior to carrying out the work - We have accreditation with the Australian Institute of Architects and adhere to its code of conduct - We work with industry leading professionals and builders to provide a team based service. Abode Construction is a trusted Brisbane, family-owned business with over 20 years experience. We specialise in three key services, Renovations, Extensions and New Build. We aspire to create the perfect living environment for you and your family by providing inspirational home design and the means to make your vision come to life. Our reputation for quality and customer satisfaction has made us the number one choice in renovation builders Brisbane has to offer. With expert design, high quality craftsmanship and skilled management of your job, Abode Construction stands apart amongst renovation builders for our ability to realise your dream. From the design stage to completion, you’ll find Abode to be unlike just any renovation builders. Abode is the name you can trust. 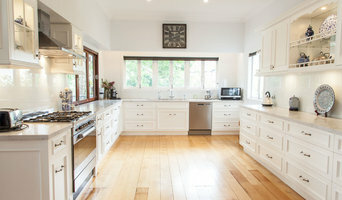 Maytain Cabinets is a traditional and family-owned business, servicing Brisbane since 1994. We have since built up the company reputation to be one of the most respected and well-known brands in the industry. We are recognised for our quality and for being one of the finest kitchen designing and manufacturing firms. We are committed to staying ahead of trends and bringing new finishes and concepts to the world of cabinet making for the ultimate statement. At Maytain, we work closely with our clients to ensure that each project is suitable to their individual needs and lifestyle. Our modern kitchens are custom-made, inspired by the latest style, trends and designs. We are always searching for more colours and materials to provide our customers with even more possibilities. Gem'Appelle Designs is an Interior Design and Decoration Consultancy established in 1999, and offers a wide range of affordable decorating services to all in Brisbane and South-East Queensland. Since then we have been transforming houses into homes for all our clients. Whether you are interested in transforming one room or your whole home, Gem'Appelle Designs is ready to assist. Our range of services will take you from the initial ideas through to completion and we can also arrange for complete project management of your renovations if required. We believe in taking the time to get to know you and how you utilise your home to create the wonderful interior you are after. It can start with something as simple as new linen for your bed, bath or table and go up to a complete remodel. We have also put together some great priced package deals, depending on the specific requirements. Good planning and collaboration in the early stages of a project, (between the builder, designer, and client) is the key to a smoother building process with fewer surprises. The plans must convey and represent the needs and requirements of all invested parties. With over 30 years in the construction industry as a licensed building designer & builder, I am confident that I can provide my clients with an exceptional design and drafting service. Being both builder & designer has honed my skills in providing well designed, buildable and on budget projects as well as detailed plans to assist in accurate quoting and construction. My current focus is on the design and documentation aspect of residential construction and I endeavor to provide detailed drawings that allow all trades and suppliers to interpret what is needed to complete each project in a timely and efficient manner. I am able to coordinate all of the necessary consultants including town planners, councils (if required) to realise the final working drawings approved and ready for construction. 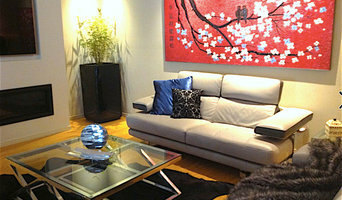 As expert painters and decorators Stephen Brophy Painters & Decorators work with you. We undertake painting and decorating both interior or exterior and domestic or commercial. Our standards are high, from painting to a pristine finish, or to hanging specialist wallpapers we strive to give you the perfect result. We pride ourselves on using the best tools and equipment to do the job as well as using environmentally friendly high quality products to ensure you receive a first class finish. We pay attention to detail, because we know it's the smallest details that really matter to our customers. We are particularly proud that the majority of our work is repeat business and recommendations. We are happy for potential clients to take up references and naturally carry full Public Liability insurance and Work Cover. Take the stress and uncertainty out of painting and decorating with expert painters and decorators you can trust. Our services are catered to your style, financial investment and situation. We can create special or individual, living or working environments through the imaginative use of space, colour and design. RJP Design and Decor can either manage and produce the whole look; or simply supply you with the ideas, recommendations and design advice that you can take on and produce yourself – making “your place your space”. Window treatments do more than just create beautiful looking rooms; they create a harmonious balance between the comfort, function, and mood of a room. Custom window treatments don’t need to be elaborate; Meticulous Designs brings together elegance and everyday luxe to suit your home and budget. Aussie Building Design is a leading Queensland home designer, with over 7 years experience and based on the beautiful Sunshine Coast. The company specialises in designing new homes, extensions and renovations as well as constructing beautiful decks, patios and carports. We can also assist with any building project management requirements, such as organisation of builders quotes, permits and liaison with Council and other relevant parties that are involved with the commencement and completion of your project. Our domestic works range from constructing carports, and patios right through to designing alterations, extensions and custom homes, Aussie Building Design is focused on delivering high-quality innovative and meticulous design. The Director of Aussie Building Design, Cameron Rankin, has a wealth of knowledge and experience that will ensure your designs will be completed on time, and to the highest standard. At Aussie Building Design we pride ourselves on proving our clients with exceptional service. BIG BRAND | LOCAL BUILDER | QUEENSLAND | NEW SOUTH WALES | VICTORIA Since 2001, we have been helping Australian families to create chapter after chapter of their own unforgettable stories. At Adenbrook Homes we understand choosing a builder is just as important as choosing the right home design. 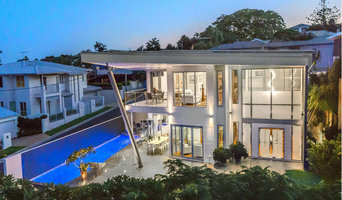 Being locally owned and operated, our objective is to provide exceptional client service delivered by our professional team, an extensive range of stunning award-winning home designs, with a smooth and structured building process. We employ a team of local tradespeople and utilise trusted suppliers to achieve quality workmanship and deliver a home we are all proud of. Brisbane's ONLY Staging, Styling and Selling Real Estate Agency and winner of the prestigious HIA Brisbane Property Styling Award, 2016, 2017 and 2018. An amazing 3 years in a row. 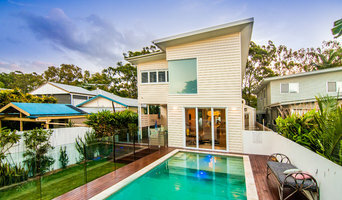 Cape Cod Residential is Brisbane’s most exciting real estate agency! With a groundbreaking sales process, a nationally recognised styling icon as agency principal, and a styling inventory second to none, Cape Cod Residential is achieving superior sales outcomes right across Brisbane. HOW IS CAPE COD RESIDENTIAL DIFFERENT TO ALL OTHER AGENCIES? Traditional agencies remain focused on ‘the transaction’, or ‘the volume of sales’ they have completed, rather than the ‘sales outcome’ for the homeowner. Cape Cod Residential offers: 1. A Superior Sales Process .... The secret to a superior sales result is having a process that truly captures the essence of what makes buyers really want to buy. Cape Cod Residential integrates the magnetic qualities of better presentation and marketing with the commercial principles of buyer competition and skilled communication, to produce superior sales results. 2. Superior Staging and Styling .... Cape Cod Residential offers an ‘all-inclusive’ home presentation service second to none. There is no charge for any stylist time, and no charge to hire any of the Cape Cod Residential home staging inventory. In addition to the thousands of dollars in direct cost savings, you can also expect a significantly higher sales price for your home! ￼To discover how Cape Cod Residential can maximise the FULL potential of your home, contact us now on 0403 766 822 or visit our online showcase at www.capecodresidential.com.au. We're a Boutique Interior Design Studio based on the Gold Coast, specialising in reinventing residential spaces. We deal in wow-factor and ‘outside the square’. We’re about tailored home transformations that will reconnect you with your your home, and seriously enrich your lifestyle. The images you’ve saved, the ideas you’ve seen; the vision you wish you could create in your own home, but don't know where to start - we take these unknowns and translate them into a personalised, cohesive and inspired design solution for you. Each and every one of our projects receives generous lashings of our wholehearted devotion, quality obsession and signature flair. From concept design through to completion, we work closely with you through every aspect of your renovation, tailoring design solutions to your objectives, not ours. We collaborate with our network of hand-picked and trusted trades and professionals for a seamless experience that exceeds expectations and sweetens lives. Creative problem-solving, layout wizardry and knockout joinery concepts are all on our daily to-do list. Since 2001 Pacific Blue Developments has been designing and building luxury homes and accommodation on the beautiful Sunshine Coast. With a thorough understanding of the ever-evolving building industry, we aim to make your building experience as transparent as possible. Whether you’ve built before or are taking the leap of faith into your first home, we can provide to you the knowledge, insight and expertise you need to make your dreams a reality. Unlike other builders, Pacific Blue Developments doesn’t work off a range of standard designs. Every client gets specialised, individual consideration. From initial consultations with our Building Designer to onsite appointments with our Operations Manager, we aim to guide you through every step resulting in an experience that won’t disappoint. Having maintained long standing relationships with quality tradesmen and suppliers, our extended team forms part of what makes our service great. A family owned & operated business, Pacific Blue Developments takes great pride in delivering a product that will be a joy to you and your family for years to come. For a building experience you'll want to remember, contact us at Pacific Blue today. But before you start sending out dozens of emails and making phone calls, sit down and think about your project. Once you've settled on your project’s priorities, budget and scope, it's time to start researching home design professionals. Don't sell yourself short and settle on the first professional you set your sights on. Make sure that you're working with someone local, who can get to the jobsite easily and efficiently. Look into the person’s reviews, ask to speak with former clients and to see previous jobs in person. Take a good look at their portfolio photos: How similar are these projects to your own? Be honest — that mansion might look beautiful, but it might not have a lot in common with your little bungalow. Reach out to multiple professionals — especially for larger projects — and don't settle for the first bid you hear. Comparing multiple Sandgate, Queensland professionals' bids and experiences can help you find the one that’s best for you. Ask a lot of questions now, so you won't have unexpected answers later. Find a home design professional: Narrow down your search by type of professional and location. Browse Sandgate, Queensland portfolio photos, read client reviews and contact each Sandgate, Queensland professional for more information. Check out the information in the specialised professional sections too for tips on how to hire the right professional in Sandgate for your project. 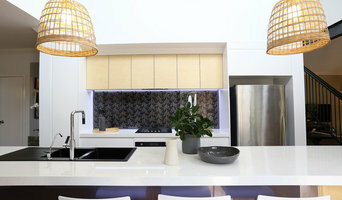 Whether you're looking for a Kitchen Designer in Melbourne, a Cabinet Maker in Brisbane or an Architect in Adelaide, you can be sure to find the right expert for the job on Houzz. Even if you're looking for suppliers, you'll be able to find everything from Fireplace Installers and Retailers in Sydney to Artists & Artisans in Perth. Go on, take a look!